Happy New Year! Statistically speaking almost 70% of those who set news resolutions are still hanging strong as we enter this 3rd week of 2017, woohoo! Of resolutions improvements in health and eating top the list. The team at San Francisco Cosmetic Dentist Edward L. Loev's office thought that we would help you out and give you a cheat sheet of healthy foods for your teeth. Dairy tops our list actually covering the first 3 spots. Milk: Milk provides calcium and phosphates along with Vitamin D, which aids the body in processing and using the calcium. 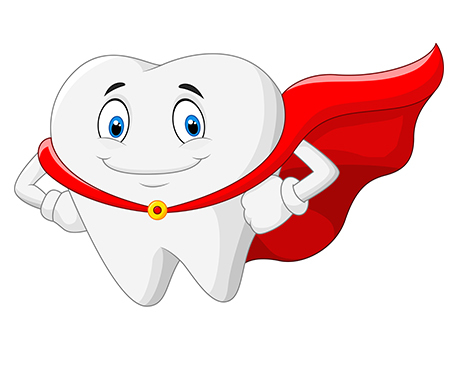 Regular milk consumption can help strengthen tooth enamel and fortify your bones. For those of you that are allergic to or can't tolerate milk, soy milk is also a great source of calcium. Yogurt: Plain, low or non-fat yogurt is full of both protein and calcium. Great for teeth and bones but also a boost for digestion and some say weight-loss. Make sure to check labels, some lower fat yogurts are loaded with sugars. Cheese: Cheese, yum Dr. Loev's favorite food group. Cheese is yet another calcium and phosphate superstar but did you know that scientifically it actually makes ones mouth water or in other words it generates saliva. This is a great thing as it helps neutralize acids in the mouth and fortify tooth surfaces. Weird dental fact: People that are prone to tooth decay would be aided in eating a small piece of cheese after meals to generate that saliva release. Keep it fun and tasty and vary your type. Apple: Apple happens to be my favorite food. In addition to being mouth- watering saliva producers they actually can help prevent cavities by scrubbing tooth surfaces. 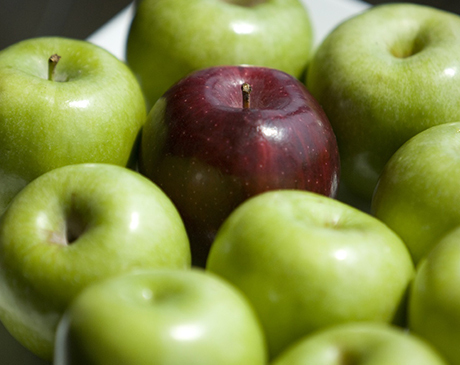 An apple a day might just keep both the doctor and dentist away and give your body many different vitamins and minerals. Oranges: Most of us know that oranges are high in vitamin c but did you know that they are great source of vitamin D and calcium as well? Orange juice is a natural cleanser for your mouth that helps eliminate bacteria and prevent tooth decay. Even though oranges are healthy and nutritious they are also fairly acidic in nature so after enjoying don't forget to brush and floss. Nuts: We had to double check our research on this one; we thought it was a bit nuts (couldn't resist, sorry). Nuts provide many essential vitamins and minerals for both tooth and body. Different nuts have different benefits. Peanuts and almonds contain high levels of calcium, cashews are great for saliva production and walnuts are superstars containing a fair amount of fiber; folic acid; iron; thiamine; magnesium; niacin; vitamin E;B6 potassium and zinc. Tooth enamel is the hardest substance in the body but one must be careful eating any hard substance, as teeth can also be quite brittle. Tea: Tea can stain teeth but with proper brushing flossing and even just rinsing after enjoying the health benefits are worth it. Both green and black teas contain something called polyphenols. The common polyphenols in tea include catechins, theaflavins, tannins and flavonoids; they are thought to suppress or kill certain oral bacteria reducing plaque build-up and neutralizing acid. Recent studies have shown many overall health benefits or green tea. Water: Water is so important to every part of our bodies. When it comes to teeth it serves as the primary ingredient in saliva and acts to keep mouths hydrated and deposit minerals. It also helps the mouth stay clean by washing away small food particles that can stick to teeth. 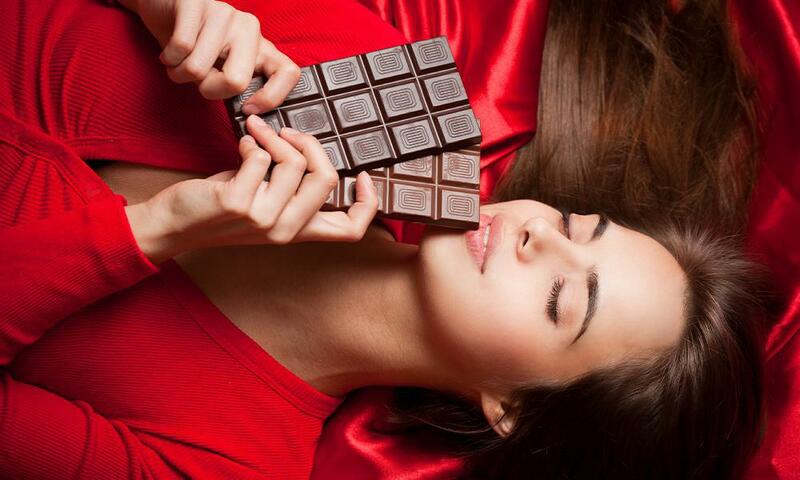 Dark Chocolate: The benefits of dark chocolate have increasingly discovered over recent years. He fact that is yummy is an extra bonus and incentive to have a treat a couple of times a day.Dark chocolate is god for blood circulation and is full of anti-oxidants and disease fighting phenolic compounds that combat cell damage. The tannins (just like in tea) contained in the cocoa that is in dark chocolate helps prevent tooth erosion and even gum inflammation. Cocoa also has been shown to reduce plaque and lower oral acid production. Sugar-free Gum: San Francisco Dentist Dr. Edward L. Loev DMD is not a fan of gum with or without sugar but that is just one of his things. Even though it lacks his dental approval it needed to be included in our list as it is really helpful in producing saliva thereby washing away acids and bacteria that are every present in our mouths. It can also act to scrub teeth and exercise the jaw muscles. 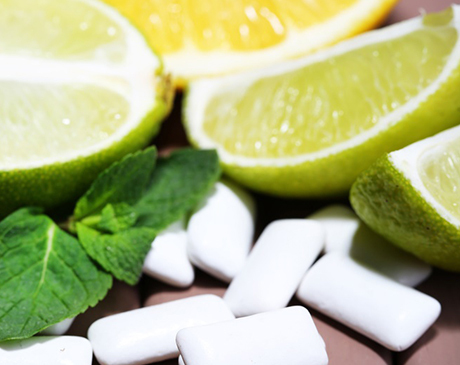 Sugar-free and non-sticking versions are best, especially if you have crowns or restorations in your mouth as they can get pulled out by sticky gum. As with most things in life prevention and moderation are the best keys to overall health. Total deprivation of most things is tough for most people to stick to. Think before you put something in your mouth but remember you are human and deserve a treat every once in a while.